Both books reached overall rankings in the low and mid 30s for action adventure. St. Nic, Inc. reached #5 under “suspense” and #6 under “thriller/adventure” in the kindle ebook rankings. The Pirate of Panther Bay reached #1 under “sword & sorcery” for children kindle ebook rankings and #5 for “action/adventure”. Thank you to everyone who made this promotion so successful! This entry was posted in Marketing, Pirate of Panther Bay, St. Nic Inc and tagged amazon.com, ebook, kindle, pirate of panther bay, rankings, St. Nic Inc on September 30, 2014 by SR Staley. One of the great benefits of Beta Readers–those brave souls willing to read drafts of your work before presenting it to the world or a publisher–is their insight into your writing style. Sometimes we resist these comparisons–as happened in this case–but they often yield a useful perspective that helps us define our own style and gives us a marketing angle as well. Now, at this point, I was a bit embarrassed. I had never read a Clive Cussler novel, although I knew he had sold a lot of books. In fact, he’s sold millions, and his books have been on the New York Times best seller list twenty times. But this information was really useless to me as a writer, and I didn’t know how to process it. I wasn’t sure if this really was a good comparison. Then, another reader (but not a critique group member), Mark McNees, said St. Nic, Inc. “artfully combines the action of a Tom Clancy novel with the insightful social commentary and multiple levels of experience as George Orwell’s Animal Farm.” Two more great cites. The contrast in writing styles between these now deceased writers was potentially significant: Orwell wrote in a class literary tradition while Clancy wrote action-adventure-technology thrillers. While I am very familiar with Orwell’s work, I wasn’t well versed in Tom Clancy’s, except for watching a few movies based on his novels. Tom Clancy was a genre buster and one of the few writers to have their inaugural novel (The Hunt for Red October) shoot to best seller status. Still, I understood the genre pretty well, and I was curious how my writing style compares to Clancy’s. The only way to find out was to read their books. What I found was quite revealing. Of course, my writing style is different–neither Clive Cussler, Tom Clancy, or George Orwell. In part, this is the result of my focus on writing for young adults and middle school readers for the first three novels. St. Nic, Inc. is written for the general fiction market although it is accessible to young adults. These readers want fast plots, plenty of action, and a gripping story. The rule is the less description, the better. In this way, Clive Cussler’s style, although he is geared toward adult markets, is well suited to my approach. But I also included layered characters with arcs that peak at different times based on the trajectory of the main plot and subplots. Thus, my stories aren’t as straightforward as Cussler’s, and my characters experience significant life changing events that influence how they view the world. Like Clancy, I strive to make my fiction authentic. 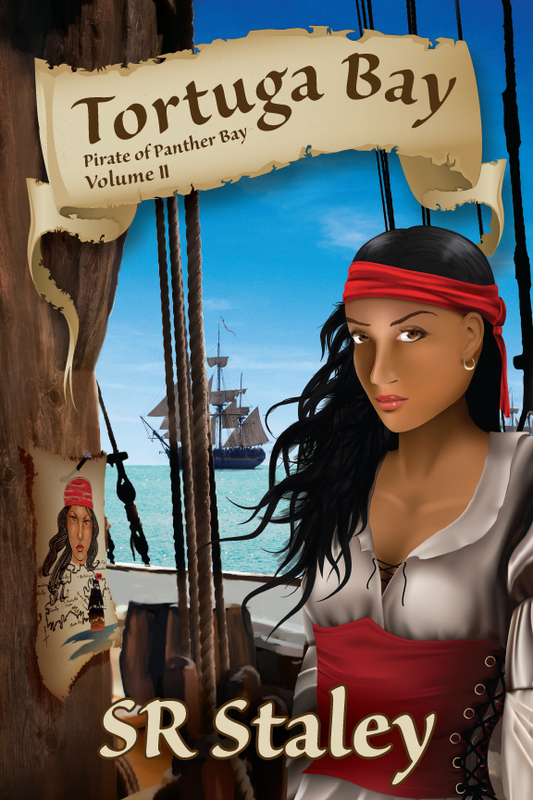 The Pirate of Panther Bay attempts to stay true to the real world of pirates and the historical context in which the characters live. The Path of the Warrior series attempts to ensure the martial arts self-defense skills are authentic and realistic, set within the context of middle-school bullying and violence. These values permeate the stories and books. So, where does St. Nic, Inc. fall? Of course, it’s a little bit of each. I admire the lean writing style of Clive Cussler even if it won’t earn him accolades from the literary elite. (Of course, readers love it.) While I would like a little more flourish when reading Cussler’s novels, the action and pace keep me engaged, and I’m not sidetracked by subplots or thinly disguised attempts to be classic fiction. The characters and stories are straightforward, and that suits his fans (and publisher). These are very easy reads, the epitome of escape literature. I like Clancy’s commitment to keep the adventure-thriller grounded in reality and the characters more layered and complex. This also has turned out to be a highly successful strategy, and it probably reflects his own personality as a writer. While still escapist in its approach, Clancy’s novels require a bit more patience and enjoyment of the journey. Based on the comments I’ve received from readers, St. Nic, Inc. seems to reflect a happy evolution of my writing style, one that embraces a lean writing style with layered stories. I am pleased to embrace comparisons to all three highly successful (for different reasons) literary giants. I’m not sure I would have made these connections, and become more confident in my own writing style, if hadn’t been for the prodding and candid observations of my beta readers, friends and critique group. This entry was posted in A Warrior's Soul, Books, Keys to Success, Pirate of Panther Bay, SR Staley, St. Nic Inc, writing and storytelling and tagged a warriors soul, action novels, adventure novels, clive cussler, hunt for red october, new adult, path of the warrior, pirate of panther bay, renegade, SR Staley, St Nic Inc, tom clancy, writing styles, young adult on August 10, 2014 by SR Staley. Check out all the titles and their growing stable of authors here. This entry was posted in A Warrior's Soul, Pirate of Panther Bay, Publishing, Renegade on December 21, 2013 by SR Staley. 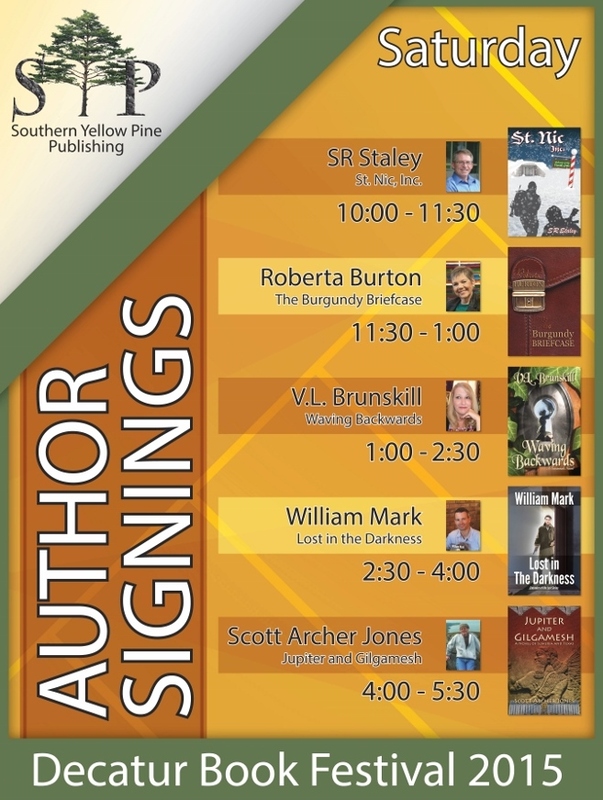 Come see and talk to SR Staley as he signs copies of his novels The Pirate of Panther Bay, A Warrior’s Soul and Renegade at Tropical Smoothie Cafe’ in Centerville, Ohio on Saturday, June 22nd, from noon to 2 pm. The store is located at 6241 Far Hills Avenue in the Washington Square Shopping Center (behind Dorothy Lane Market). 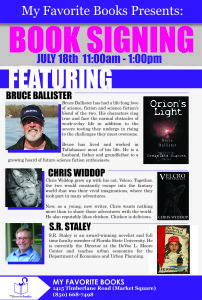 He will be appearing with science fiction author C.L. Gregoire who will be signing copies of his novel Death Spiral. This entry was posted in A Warrior's Soul, Marketing, Pirate of Panther Bay, Renegade on June 11, 2013 by SRSTALEY. When I began writing fiction, I was reluctant to focus my marketing efforts on me (the author). I didn’t think I had the marketing cache’ to sell my book, The Pirate of Panther Bay. Pirates were cool, but I didn’t see myself as a personality that could make my book successful. Believe me, this wasn’t because I couldn’t talk about the subject; I teach for a leaving, so I am quite comfortable filling space with my voice, even on subjects I don’t know much about! Instead, I focused my marketing efforts on the content. I had, and still have, really cool, interesting content: a girl pirate captain who was an ex-slave, fast paced high-seas action, high-stakes plot points; romance, and realism. The problem was at the time that I didn’t have a marketing platform. I didn’t have access to the pirate blogs or communities. I didn’t have a marketing footprint in the genre or in schools where I saw a natural market. The Pirate of Panther Bay was my first novel. So, I focused on the cool characters. I think Sam is right on the money. Readers need to connect to the author before they buy the book. The same is true for book buyers at bricks and mortar book stores, and librarians, and teachers. I’ve seen this in operation over the past year where I have been coordinated a book sales booth each Saturday for the Tallahassee Writer’s Association at Downtown Marketplace. 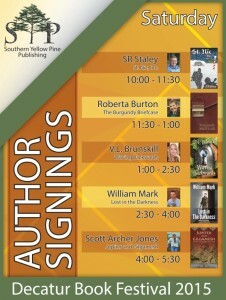 The authors that sell the most titles, in every case, are the ones that are volunteering in the booth. They are there to connect with potential readers. 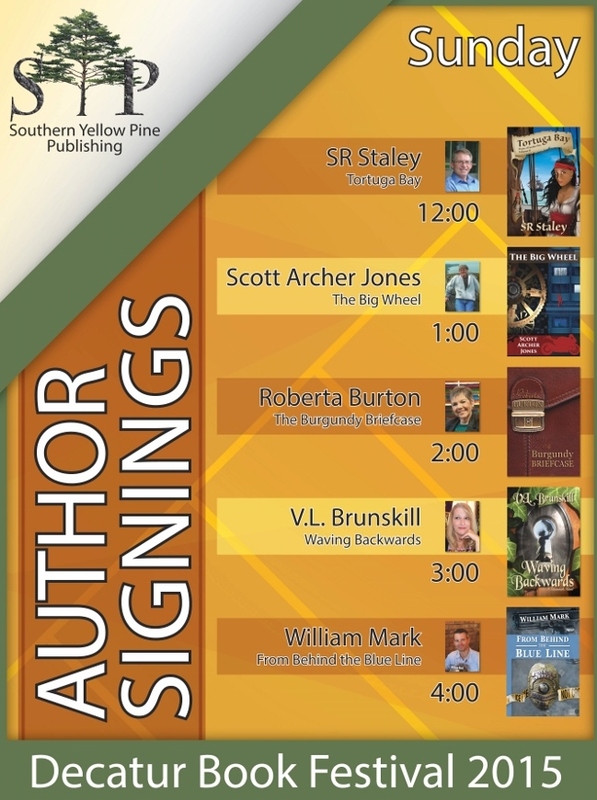 Many of the titles that are sold without the author in the booth are purchased by readers who know or are familiar with the authors. This is true even though the volunteers are actively selling all the books in the booth, and many of those books have great content. In fact, for the fall 2012 period, one author accounted for 20% of the sales, and that author was the one who consistently manned the booth throughout the fall. The correlation is remarkable. Notably, the class adoptions for my books have all come from personal relationships I have built with teachers, not anonymous marketing materials such as flyers or advertisements. Thus, my marketing platform ultimately has to be about me, the author. The very personal relationships I build with readers will ultimately determine my success. I’ll have more to say on this soon in the context of my books on bullying and self-defense, A Warrior’s Soul and the award-winning Renegade. This entry was posted in Keys to Success, Marketing, Pirate of Panther Bay, SR Staley on March 26, 2013 by SR Staley. Two articles recently spurred my thinking about characters and character development in my novels. The first was an article by Virginia Postrel at Bloomberg.com on why actors such a Denzel Washington, Tom Hanks, and Clint Eastwood are wildly popular and their characters seem to have enduring impact. (Hat tip to fellow author Tori Eldridge for alerting me to this article and, for full disclosure, Virginia is a former colleague of mine.) Virginia’s point is that the most successful actors, artistically and in the public image, are “escape personalities”; they have traits that audiences can project themselves into, including elements of their own lives. In essence, sitting in a movie theater, you experience the movie through the character because, as a viewer, you identify with the character and actor as well as what they represent, on screen and off. I find this is true for my characters in my books when my readers respond to them. My readers don’t just see the characters as something to be consumed. They experience the story and the book through the characters because they identify with key character traits, perceptions, or other elements of their personalities. I’ve found this to be particularly true for Maria, the self-conscious seventh grader fighting bullies and gangs in her urban middle-school in Renegade, and Isabella, the defiant escaped slave captaining a pirate ship in the 18th century Caribbean in the Pirate of Panther Bay. This brings me to Danica Patrick, the first woman to win the pole position (lead position at the start of the race) at the Daytona 500, the Super Bowl of stock car racing. Patrick has been around the racing world for a long time, first in “open wheel” Indy cars, and then for the past several years in stock-car racing. Since winning the pole at the Daytona 500 last Sunday, Patrick has seen interest in her and her popularity rocket into the stratosphere. NASCAR’s top stars–men–are now bringing their daughters to meet her when last year she was all but ignored. More relevantly, the daughters are asking their fathers who she is, and their fathers are (fortunately) embracing their sports newest celebrity. how they know who you are,’ ” Patrick said. Given Virginia’s insights in her Bloomberg article, we now have an answer for Danica Patrick, and the answer is relevant for authors more generally: Patrick has become a personality that stands for something much greater than her role as a driver, or even a woman driving in a male-dominated sport. She has become a public personality through which average, everyday people can project their own lives through Danica’s experiences as a top level driver. That’s why to her fans she will be known as Danica, not Ms. Patrick–her fans will live through her on the track and off, and it will be a personal relationship, not a formal one. We aspire for the same level of identification with the characters we write in our novels. When our readers start projecting their own lives into the experiences of our characters in our stories, we have hit a home run, artistically and professionally. This entry was posted in Pirate of Panther Bay, Renegade, writing and storytelling on February 23, 2013 by SR Staley.